Henna stain matures to a beautiful red or reddish brown tattoo on the skin after a couple of days. 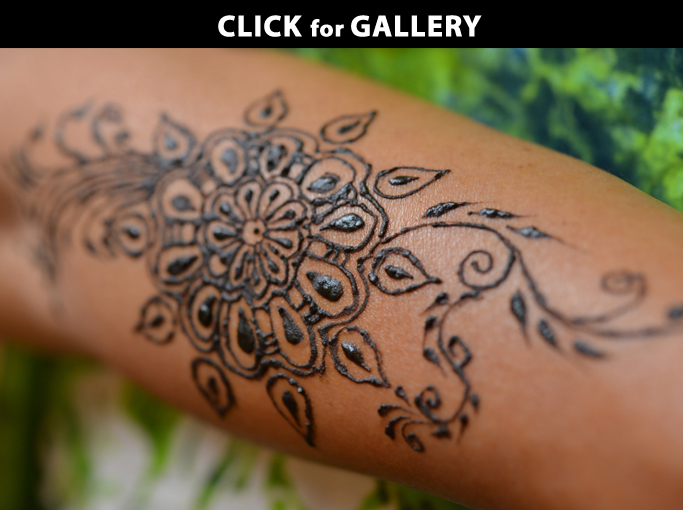 The longer Henna is left on the skin before removal, the richer the color. Henna tattoo is safe, fun and usually lasts one or two weeks.